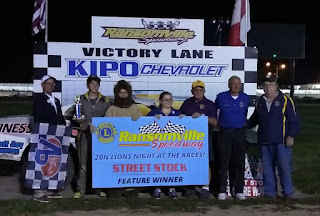 BARKER, N.Y. -- Barker Lions sponsored Lions Night at the Ransomville Races. Lions members from Lockport, Newfane, Wilson, Town of Niagara, and Lewiston joined the Barker club. Past District Governors Sharon Battaglia, John Hake and Jim Muscoriel joined current District Governor Jeff Jarvis at the event. 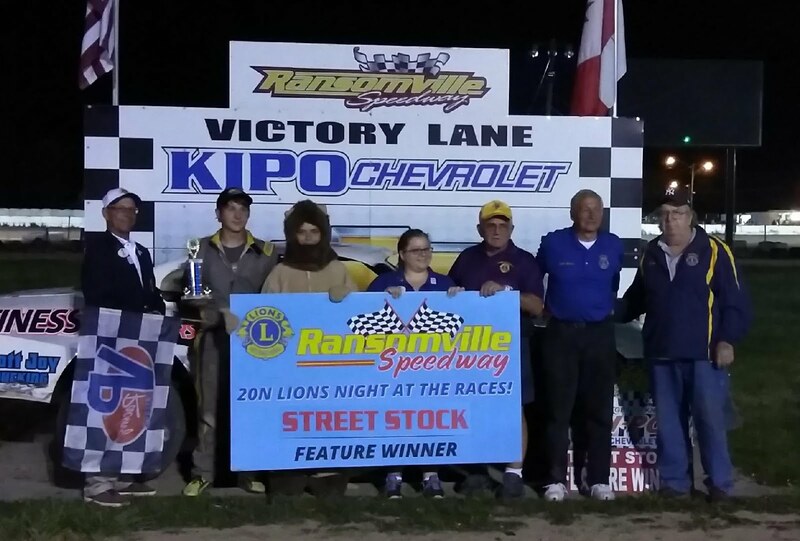 To celebrate, trophies were given by the Lions to the winning racers. Each club has its own service activities. The Night at the Races gives the members a chance to gather socially. Founded in 1917, Lions Club was designed by Melvin Jones to be a service club. In 1925, Helen Keller asked the group to be her "Knights of the Blind." Aiding those with sight and hearing challenges became the mission. As their brochure states: "Whenever a Lions club gets together, problems get smaller. And communities get better. That's because we help where help is needed – in our own communities and around the world – with unmatched integrity and energy. Our 46,000 clubs and 1.35 million members make us the world's largest service club organization. When it comes to meeting challenges, our response is simple: We serve. In 205 countries, in hospitals and senior centers, in regions battered by natural disaster, in schools and in eyeglass recycling centers, Lions are at work, helping, leading, planning and supporting. Because we're local, we can serve the unique needs of the communities where we live. And because we're global, we can address challenges that go beyond borders. To find a club near you, go to www.md20lions.com. That is for Multiple District 20, which includes Western New York. Whether you want to join a club, make a donation, or seek help, the club nearest you is ready.